Digital caretaker Sakariye is on duty during the spring on Mondays 12-18 around the customer service counter. Pohjois-Haaga i.e. 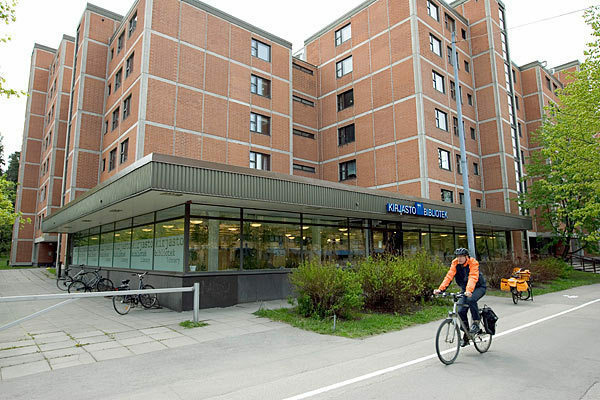 North-Haaga library is small, but agile in its services. Situated in a former grocery store, it is mostly frequented by local residents and people working in the area. Library is the meeting place and heart of the local community and a source of enriching experiences, knowledge and stories. We strive to meet the customers’ needs.